traction topic. banned from the TI forum? Cant get acces anymore to the TI forum. Too many post or to many non positive TI posts, I dont know. Any way, analysing arm traction during the underwater pull lately, and some TI swimmers seem to slip quite some water. 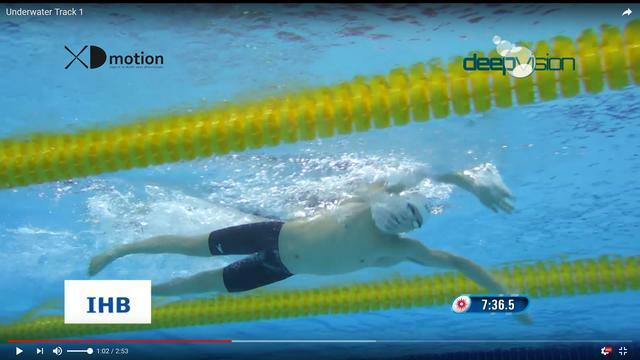 Its about the slipfactor, that is the amount the hand moves back during the underwater stroke, devided by the amount the head moves forward. Tricky bit is to find the point where the hand starts to move back relative to the water. Its intersting what the forearm angle is at this point. How much water you do push down at the front, do you wait to press back till your arm is vertical, or does that take to much time? Sun starts his backwards handmovement at his breathing side at a shallower arm angle than at his non-breaqthing side. That seems pretty logical, since the breathing side is pushing water doen more mostly in an asymmetric stroke. But its all a bit hard to see at his angle. Wiil find out his slipfactor. another time. if anyone is intersted, I copy the traction threads from the TI forum to this forum. Re: traction topic. banned from the TI forum? I can,t work on the forum at the moment as I don,t usually have internet. Will be back in October. 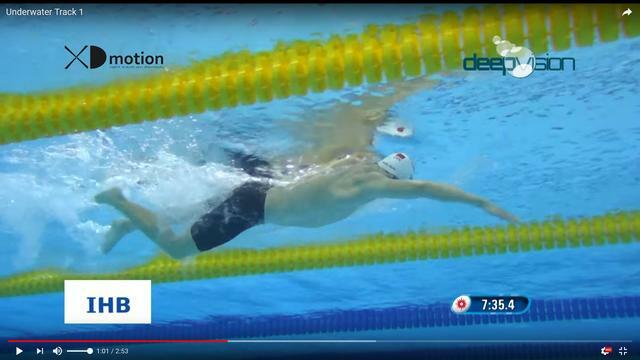 SA wrote: ...Its about the slipfactor, that is the amount the hand moves back during the underwater stroke, devided by the amount the head moves forward. I wonder how an old acquaintance (lost contact with him yonks ago) would have succeeded - in the later part of his FS arm recovery, he was fond of driving his hand and forearm directly down into the water (a very quick EVF!) - never mind the niceties of the down-sweep! Of course that action lifted his head clear of the water at each arm entry, so there was a lot of up/down motion! He was also a keen amateur rugby player - so accustomed to using a lot of force, with little finesse!!! Looks like Ti is locked, to us at least, but since nobody is posting. yeah, nothing special, they shut down the forum and are moving to facebook , just like swimsmooth. I think its a bit of a mess, a facebook type forum. I will have a further look sometime when the arm is really starting pressing back, but for most of the swimmers this is even before the arm is 45 degrees down. this is the starting point of the hand going backward. Dont know when the elbow is also going backward making a full paddle. Thats a bit later, and even later with a high elbow catch. Anyway I was surprised to see so much downpushing on the water. Nah. Can't get into sinature edit. Yus! A lot of bods seem to aim for some early-arm propulsion after water entry, by starting to flex the wrist, curling the hand over a bit, before getting the rest of the arm a bit lower and at a somewhat steeper inclination to the surface, employing more of the forearm/upper-arm. But I wonder how much of that early action is actually useful - if it is counter-acted by the legs drooping slightly adding to drag - due to pushing down in that early part of the downward sweep, rather than back? At least with an EVF, think the idea is to make the down-sweep more of a (notional ) "drop", than a deliberate downward propulsive action - so it shouldn't have as much affect on balance. On further thought, I've just remembered what Maglischo wrote about arm/leg action "Always try to pull/push/kick into relatively undisturbed water" - for maximal propulsive "return" on effort expended! So in that sense, a slower arm action might be more productive propulsion-wise - because it gives a "short instant" for the water (disturbed by earlier rapid arm action) to return to a more steady state beneath the body, as the latter moves forwards. At 60 stroke cycles/min, that's 0.5 sec/arm stroke - and thinking about the adjacent water mass surrounding the stroking arm as it does (say!) a strong up-sweep of the arm - I wonder what the effect on that mass of water will be when that stroking arm comes around again 1 second later. Obviously the body should have travelled further ahead, so the "water disturbance" will not be as great as if the body was in a fixed position - and in any case, the momentum backwards of the former mass of water (surrounding the path of the previous arm stroke) will have soon waned!